If you’re planning a trip to Japan, you may have heard about the Japan Rail Pass. It’s a convenient, easy to use pass designed for tourists who will be travelling by train in Japan. We decided to buy a Japan Rail Pass for our 2 week trip to Japan, since train was going to be our primary form of transportation. We travelled all over the country and made 18 different train trips, 15 of which we used our JR Pass. As first time visitors to Japan, I wanted our experience to be as stress-free as possible. That’s what led us to buy the Japan Rail Pass. We felt comfortable knowing we wouldn’t have to deal with ticket machines or the language barrier at ticket offices. We could just show our pass, hop on a train and go. The Japan Rail Pass is worth considering if you will be travelling extensively in Japan, visiting many different regions in a short period of time. Depending on the specific train trips you plan to take, it can be more economical than buying individual tickets (not always though). Plus, it saves you time standing in line at the stations. As easy as the pass was to use, there were still a lot of things to know before buying a Japan Rail Pass. Here are the answers to some frequently asked questions, followed by our review and first-hand tips for buying and using the Japan Rail Pass. 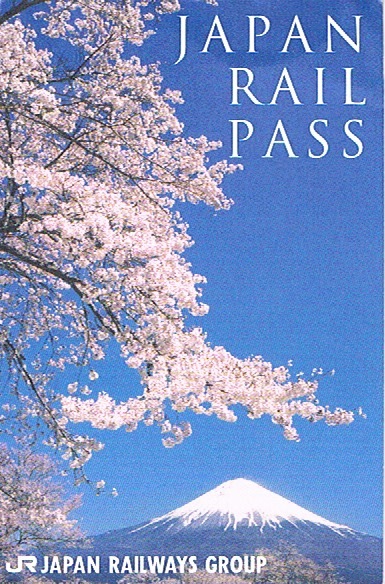 We hope this Japan Rail Pass guide helps you decide if the JR Pass is worth buying for your trip. The Japan Rail Pass is a special pass for tourists that allows unlimited trips with all six companies of the Japan Rail Group (JR Central, JR East, JR West, JR Kyushu, JR Shikoku, JR Hokkaido). Who Can Buy the Japan Rail Pass? The Japan Rail Pass can only be purchased by foreigners who are visiting on a Tourist Visa. If you are visiting Japan for sightseeing purposes, you will get a “Temporary Visitor” sticker/stamp in you passport and you must show this to receive and use your Japan Rail Pass. Where Can I Use the Japan Rail Pass? The Japan Rail Pass is valid on all JR limited express, express, rapid and local trains. It also can be used on JR Shinkansen “bullet trains”, excluding the Nozomi and Mizuho trains. While mainly beneficial for long distance travel, the JR pass can also be used in Osaka on the Loop Line and in Tokyo on five metropolitan lines (the Yamanote and Chuo lines are very helpful for getting around). The Japan Rail Pass also covers travel on some JR local line buses, airport service on the Tokyo Monorail (Haneda Airport) and Narita Express (Narita Airport), plus the JR West ferry between Miyajimaguchi station and Miyajima. What are the Types of Japan Rail Passes? You can choose from a 7 day, 14 day, or 21 day pass. The pass is valid for a period of consecutive days beginning on the date it is first used. You can also choose between a Green Pass (access to superior-class cars) or an Ordinary Pass. The trains in Japan are really comfortable so we didn’t see the need to travel first-class. Prices shown are accurate as of February 2019 and are subject to change. How Do I Buy the Japan Rail Pass? The Japan Rail Pass must be bought from an authorized agent before coming to Japan. Use this page to help you find a sales office or more conveniently, buy your Japan Rail Pass online and have it shipped to you. Upon purchase, you will be given an Exchange Order (voucher), which you then exchange for the actual JR Rail Pass once you arrive in Japan. Your Exchange Order must be turned in for a JR pass within three months of purchase. Exchange Orders can only be turned in at JR stations that have a Japan Rail Pass exchange office (see this page for a list). You will need to show your passport to obtain your pass. Note: The Japan Rail Pass will be sold in Japan at select JR stations until March 31, 2020. The price is higher for passes bought in Japan so it’s best to buy before you arrive. When you pick up your Japan Rail Pass, you will need to specify the exact date you want to start using it. You don’t have to activate it immediately- you can choose any date within one month of receiving the pass. Once confirmed, the start and end dates will be printed on the ticket and cannot be changed. To use your Japan Rail Pass, simply show it to the attendant at a manned ticket gate. You cannot pass through the automatic ticket gates. Seat reservations are not mandatory on most trains in Japan. However, there are a few trains that are reservation-only seating, most notably the Narita Express (Tokyo- Narita Airport). You can tell if a train is reservation only by checking on the Hyperdia (train timetable) app or web page. If the drop down menu under seat fee doesn’t show an option for unreserved seat, that means the train is reservation only. We did make a few reservations for Shinkansen on popular routes because we were travelling during cherry blossom season. It was more for peace of mind, but in actuality there was only one train that was full (Tokyo to Hiroshima we couldn’t get seats together). Other times of year when domestic travel is popular and train reservations are recommended are during Golden Week (end of April-early May), Obon week (mid-August), and the New Year holiday period (December 28- January 6). Seat reservations are free of charge with the Japan Rail Pass. To make a reservation, go to any JR ticket office and show your pass. You will be given a reservation ticket to use alongside your pass. Seat reservations cannot be made at ticket machines or on board the train. Will the Japan Rail Pass Save Me Money? Whether the Japan Rail Pass is worth it or not depends on the specifics of your trip. It takes some careful research and advance planning to make sure that your Japan Rail Pass will actually be saving you money. After deciding on an itinerary, we recommend using Hyperdia to check exact ticket prices of your route. You also can use this Japan Rail Pass calculator for a quick estimate. Once you find out the cost of all the individual tickets you’d need, compare that to the price of your desired Japan Rail Pass. There were 5 out of the 14 consecutive days our pass was valid that we did not travel by train. This was due to spending multiple days in a destination. Some of our train routes (to and from Yoshino and Koyasan) were only partially operated by Japan Rail. This meant we had to pay an extra fee at the station for the portion of track that was operated by a non-JR company (therefore not covered by the Japan Rail Pass). Many of our train trips were shorter, therefore cheaper, journeys. The Japan Rail Pass has more potential to pay off when you travel long distances in the span of a few days, and choose high-speed Shinkansen over local trains. For example, going from Tokyo to Kyoto and back again will almost pay off the cost of buying a 7 day pass. We couldn’t use the Japan Rail Pass to get from Tokyo to Hiroshima (the most expensive train ride we took) because the train we chose was a “Nozomi” Shinkansen, which the pass is not valid on. We knew this beforehand so decided not to activate our Japan Rail Pass until we left Hiroshima, on our third day in Japan. However, I did not factor in the would-be cost of our trip on the Osaka Loop Line and trips we took in Tokyo on the JR Yamanote Line (the Yamanote Line circles Tokyo and links most of the major train stations in the city, so it came in handy during our 4 days in Tokyo). While I’m not exactly sure how much these trips would have cost, it did bring us closer to breaking even on the JR Pass. We would buy the JR Pass again, even though it didn’t save us money this time. We both agree that the small amount we overpaid by purchasing the pass was worth avoiding the hassle of buying tickets at the stations. Sometimes it’s beneficial to pay more for convenience, especially in a country where you can’t speak or read the language. In researching a future trip, if the Japan Rail Pass worked out to save us money, or even cost a bit more, I wouldn’t hesitate to purchase it again for the sake of convenience. It was easy to buy, even easier to use, and allowed us flexibility to take spontaneous side trips without affecting our budget. I decided to buy the Japan Rail Pass again for my third trip to Japan. This time I bought the 7 day JR Pass and saved ¥1,220 (about $14.75 CAD) compared to buying individual tickets. I mostly travelled long distances, made one trip on a Shinkansen, took advantage of free seat reservations, and travelled around Tokyo exclusively on JR lines (Yamanote, Chuo, and Tokyo Monorail). There was one small section of my itinerary that wasn’t covered by the JR Pass, so I paid ¥1,640 ($19.81 CAD) for that, and only used trains on 4 of the 7 days the pass was valid for. When I left Japan I still had one full day left on my JR Pass. I was happy to have saved money with the Japan Rail Pass this time, especially considering I didn’t even use it for the full 7 days. Most of all, I loved the convenience of having it. I easily hopped off to visit Matsumoto Castle on my way to Nagano, and in Tokyo I never had to buy subway tickets because I only used the JR lines. I’d sometimes even show my pass to cut through the station instead of walking around on the street. Is the JR Pass Right for You?- Should You Buy the Japan Rail Pass? The Japan Rail Pass can make travel in Japan more affordable, but your potential savings will depend a lot on your itinerary and the trains you choose to take. You will be travelling long distances by train, especially on Shinkansen. You will be travelling to many different regions in a short amount of time. All (or the majority) of your intended train trips are operated by Japan Rail. You will be making numerous trips in Tokyo on the JR Yamanote line and Chuo lines, or in Osaka on the Loop Line. You plan on making a lot of seat reservations. You want to save time and avoid the hassle of buying tickets for each train trip. You like the convenience of being able to simply show your pass and hop on a train. You want the flexibility to take spontaneous side trips without it affecting your budget, or to hop off and visit places on route to your final destination. If you’ve decided that the JR Pass is right for you, here is an official vendor where you can purchase your Japan Rail Pass online and have it shipped to you. Passes sold through the included link earn us a small commission, at no extra cost to you, and help support this website. Thank you!